Mel Casas, A Mountain of Paint, 1997, acrylic on canvas. After World War II, a group of Latino artists in South Texas, many of whom had gone to art school through the G.I. Bill, formed one of the most significant early Chicano Art groups, Con Safo. Of the six founding members, Mel Casas was one of the intellectual and aesthetic leaders. In a succinct and astute posthumous retrospective of his work at Ruiz-Healy in San Antonio, Casas’ lengthy career is crystallized as an expansive and fluid vision that would establish a powerful and enduring aesthetic of Chicano art while also challenging what exactly that meant when Casas was alive, and what it could be going forward. Humanscape 135: #2 Mexican Plate, 1984. Casas’ work actually predates the Chicano art movement, which perhaps explains his role as one of the elders of Con Safo. When interviewed about Latino/Chicano identity, Casas is not dismissive of identity, but rather has grand ambitions for it. “Because I am of Mexican descent and I readily admit it. But that doesn’t make me an artist. I am not a professional Mexican.” This dichotomy, between a confident and relaxed pride in an identity that had long been marginalized and a vision beyond what one was born into is cleverly explored in two large pieces positioned across from each other in the gallery. Humanscape 135: #2 Mexican Plate takes the nomenclature and iconography of South Texas food and juxtaposes it with a playful desert tableau. In this piece, Casas simultaneously elevates and harmonizes a culture and aesthetic with the natural world surrounding it. This pairing has an elemental resonance that has proved to be profoundly influential on the self-reflective aesthetics of South Texas. Think of the influence such a piece has had on San Antonio jewel Cruz Ortiz — the ecstatic jolt of declaring you belong, that this your home and proving it. Across from this painting is a similarly sized piece entitled Humanscape 95: Bird Watching Art. 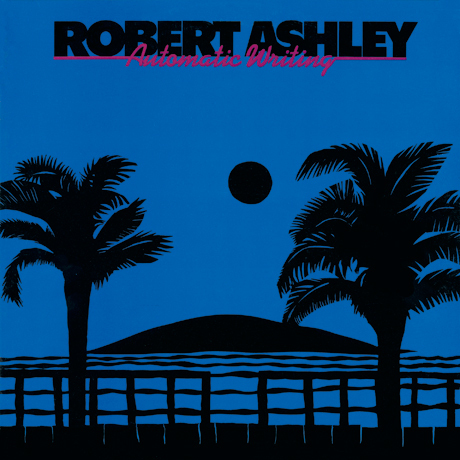 A pre-dawn blue background contrasts with stark black birds, and at the bottom there’s a text display: “Bird Watching Art.” The title and text work as a triple-play on words and the piece has a deft minimal symmetry to it; it recalls some of the covers to Robert Ashley albums on Lovely Music. The two pieces illustrate the range of Casas’ Iconic Reality, and showcase his genius to take symbols and make them into his own constellations. Much of the rest of the show is made up of smaller oil works, many of which have not been widely exhibited. Casas uses a sealant on these pieces which gives them a coated lacquer sheen and definition that’s almost topographical. Some of these pieces, like Bijou#11 and #8 and Galveston Nocturne, have a beautiful loneliness to them, not unlike some of David Hockney’s seaside works. Other pieces of heels and elegant women’s clothing demonstrate Casas’ keen sense for finding the charge in an object. Roses Anyone?, 1999, acrylic on canvas. In his later works, often still-lifes of flower arrangements, Casas employs dripping paint onto the canvas before sealing them, resulting in pieces that are almost craggy. These are the least successful works in the show, with a boomer-beach gallery aesthetic, but there is a serenity to them, and one can imagine how soothing the process would be when the mortal coil begins to unwind. Reality is iconic if you pause and let the paint dry. Mel Casas: ‘Iconic Reality’ at Ruiz-Healy Art in San Antonio through Nov 25, 2017.